It is May 31st. June will begin. 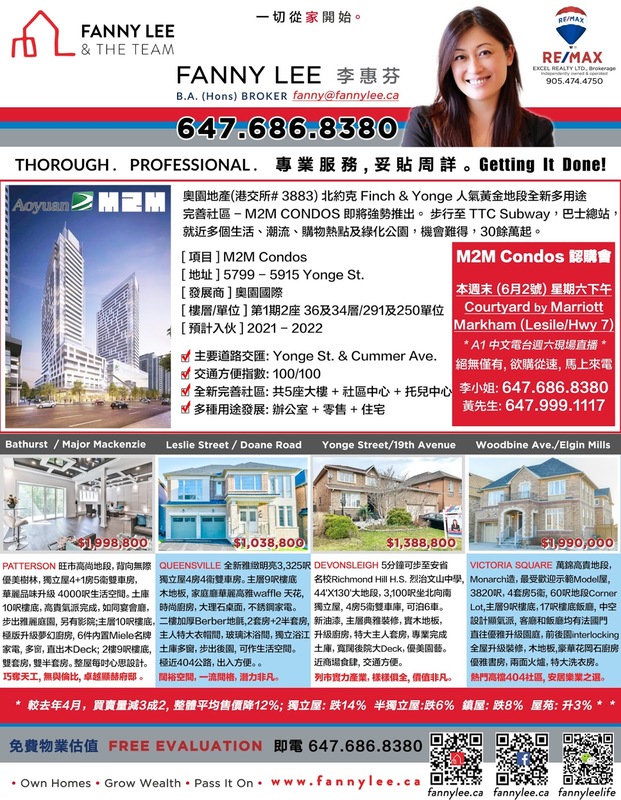 A few exciting #NewCondos projects will be launched. We are featuring #M2MCondos in this ad cycle. We will run a #NewCondosSalesEvent coming Saturday, June 2nd afternoon at Courtyard by Marriott, Markham. #A1Radio will broadcast live at the event. Come by to reserve a unit. In addition, we highlight a few excellent detached homes.